Maybe this gal knows something about Bethany Young. Find out on "The Silence of E. Lamb." 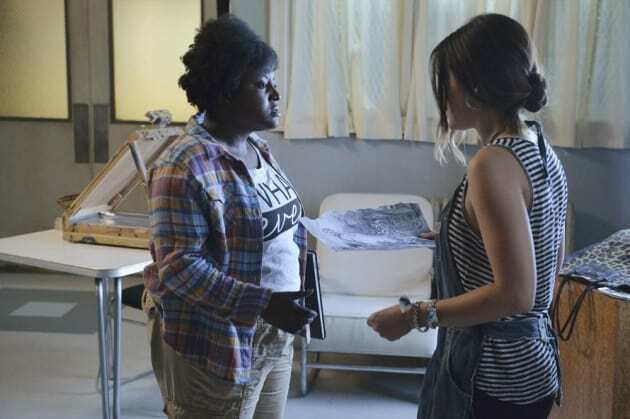 Pretty Little Liars Season 5 Episode 7: "The Silence of E. Lamb"
If they ask, "who signed the Emancipation Proclamation?," I'll say Daniel Day Lewis. Permalink: If they ask, "who signed the Emancipation Proclamation?," I'll say Daniel Day Lewis. Hanna: Ok, I'm pretty sure Emily's mom is not one of Mona's secret ninjas. Are we supposed to be suspicious of everyone now?